There’s no stopping the mid-engine Corvette train now. Various test vehicles have been spied in public for over two years, with the most recent sighting having occurred just last Friday featuring a fearsome-sounding race version testing in the dark at Sebring. Today, our friends over at MidEngineCorvetteForum.com have another morsel to offer us, taking the form of the rendered 360-degree video above. The video is the handiwork of forum member Chazcron, and if it seems familiar, you’re not wrong. 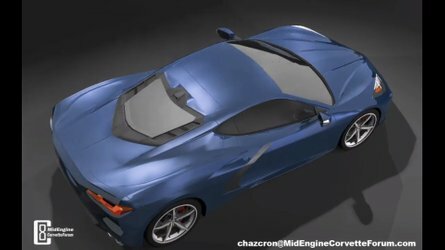 A couple weeks ago Chazcron dropped a similar 360-degree rendered video that interpreted the various body lines and scoops of Chevrolet’s forthcoming supercar, but left details to the imagination. Those details are now filled in, including the tail lights and a better look at the engine cover based on the patent application recently discovered. There’s still plenty of interpretation and creative license used in this render, but with a bevy of spy photos showing the real-life car from pretty much every angle, this could well be an accurate depiction of the new Corvette. This video also differs from the previous version in that it takes us up-and-over as well as around the car. The sculpting on the roof and hood is clearer, and the swooping rear pillars also take on new significance. The video also includes a pair of lower LED strip lights in the air intakes up front, something we haven’t seen on camouflaged prototypes per se, though we have seen a larger fin in that region that could support such a light. The biggest Corvette leak so far? 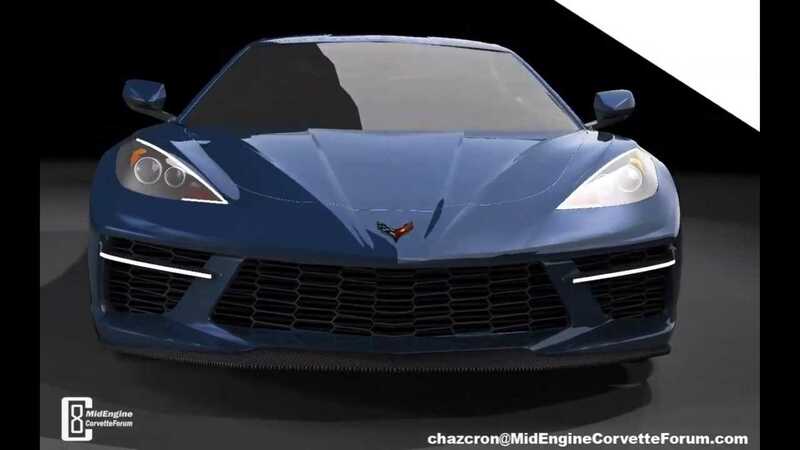 This rendering comes just days after an alleged insider shared a story outlining the mid-engined Corvette’s future. The story is linked above, but the gist is that the first model will be an LT1-powered “entry level” C8 called Manta Ray, followed by a GT version and a Grand Sport that, according to the storyteller, is so powerful that it prompted Chevrolet to bring in a team of lawyers for legal advice. That seems a bit silly to us, but other parts – like Chevrolet creating a Corvette brand with special sales requirements for dealerships – could be legit. To Chevrolet’s credit, mid-engined Corvette details have been kept well under wraps. The only info we have is through alleged leaks; even our normal group of sources are coming up empty on “unofficial” information. We do, however, expect our wait is almost over. Strong rumors suggest all will be revealed in just a few weeks ahead of the North American International Auto Show in January. Previous Previous post: An AWD Hybrid Corolla Could Happen, but What Becomes of Toyota’s C-HR?